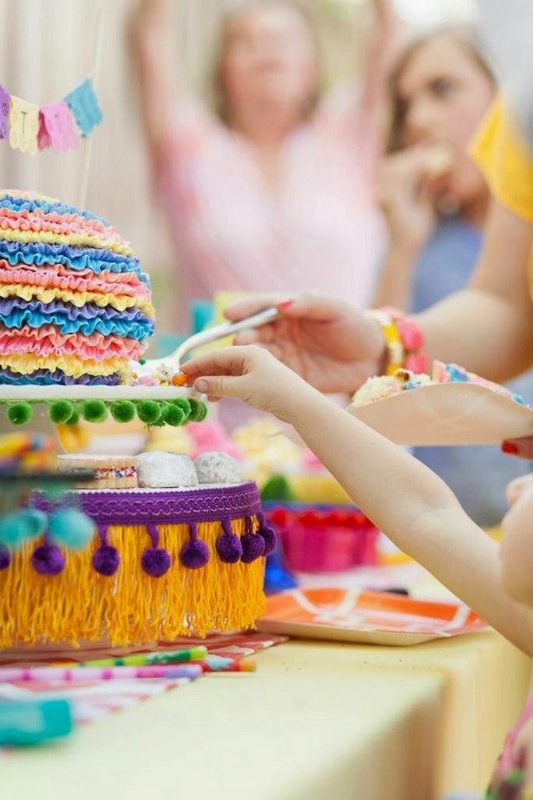 CAKEWALK BAKE SHOP: Feliz Cinco de Mayo! One of my favorite things about Texas living is the intermingling of Mexican culture, from food to fashion and design, landscape, architecture -- it can easily seem everywhere if you stop and look around. And the further south you go, the more ubiquitous it becomes. I love visiting my parents in San Antonio and touring the Mexican markets and Fiesta stores, and um maybe indulging in a patio margarita or two. Color is alive there making it hard not to feel celebratory even if there's nothing but the ordinary to enjoy. 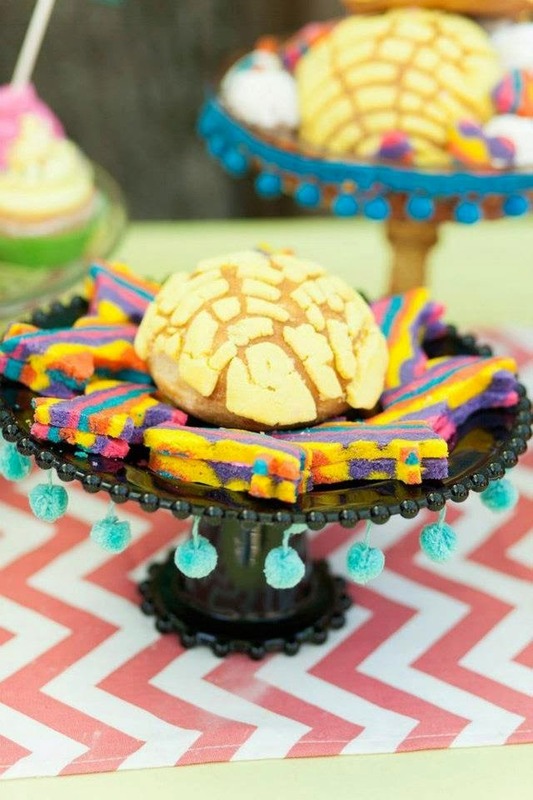 It is always an incredibly fun task to translate the spirit of the Fiesta into baked goods, and I'm happy to share some of the Mexico-inspired projects I've worked on in the past year or two. Enjoy celebrating this beautiful culture today! 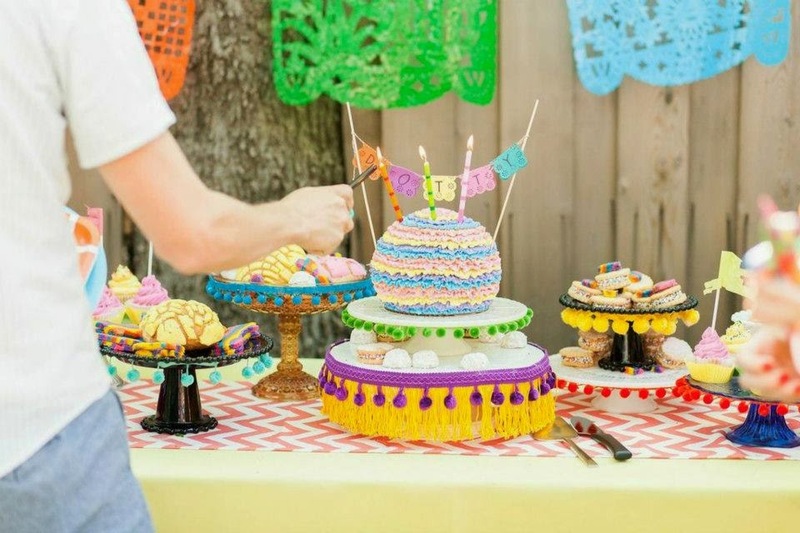 Just this weekend we had the honor of working with Stephanie and Bryan who created the most colorful and funky DIY Mexican-themed wedding at their family's new event venue in Oak Cliff. 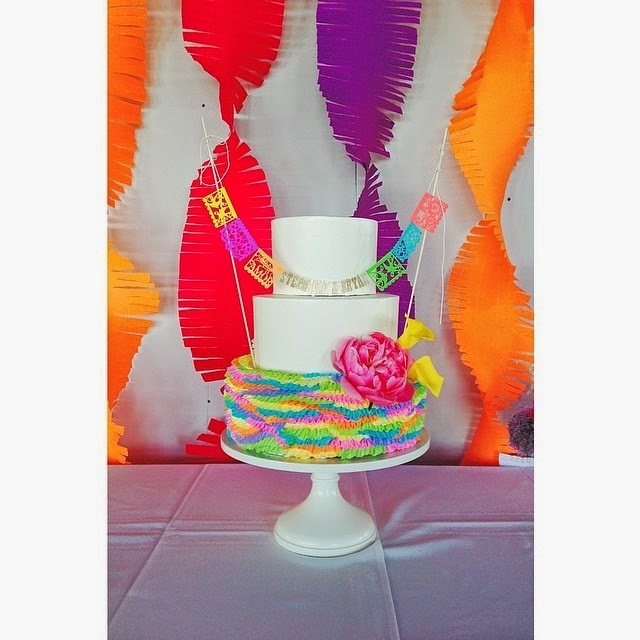 Stephanie ordered this totes amazing Papel Picado cake topper from Etsy and we used a buttercream ruffle technique to mimic paper piñata fringe. The top two tiers are a white cake with cheesecake mousse, fresh strawberries and graham cracker buttercream, and the bottom tier holds a banana cake with peanut butter cream cheese frosting. AYE! 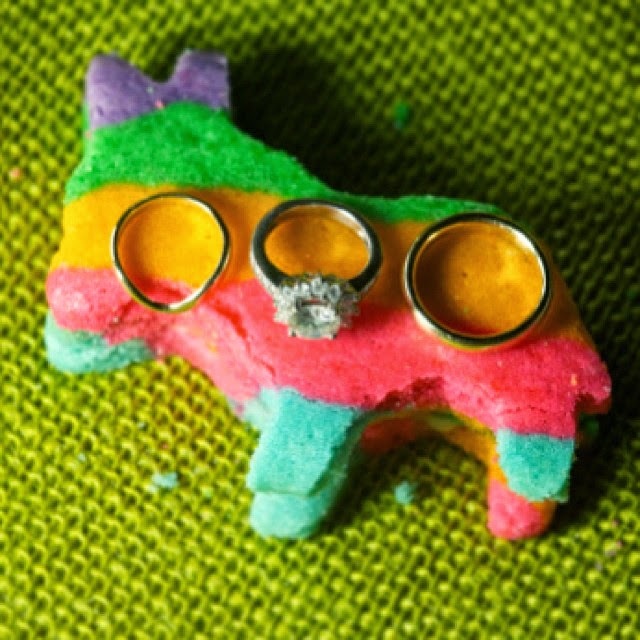 Speaking of pinatas...these little burro sugar cookies are edible pinatas themselves! Break open the cookies and tiny candies spill out. 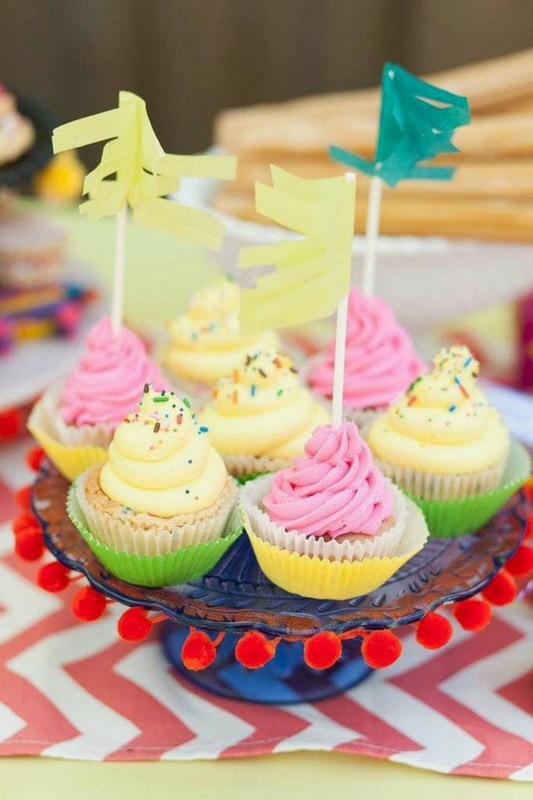 Claudio and Cara ordered a batch of these for all the kiddos at their wedding to enjoy. Top photo by Letter A Photography. 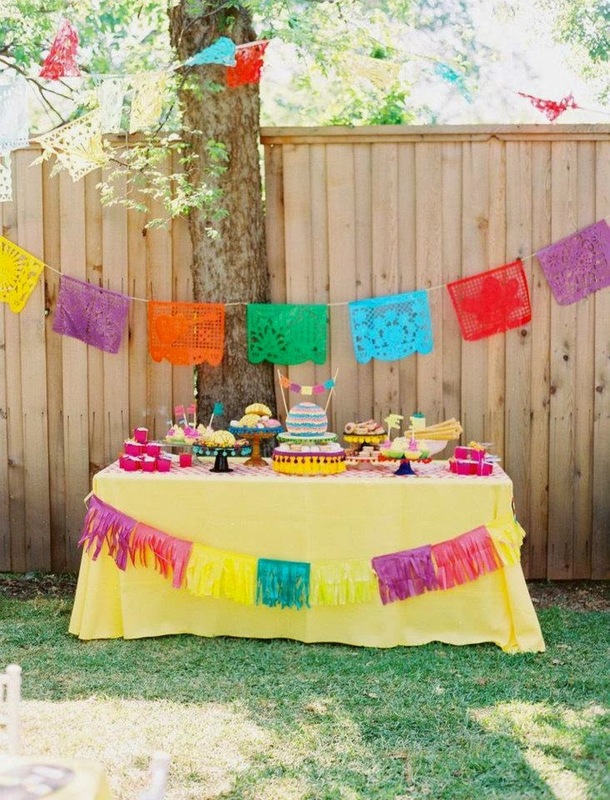 Alicia always puts on out of this world parties for her little ones and the year Dotty turned three she hosted a fab fiesta with mariachis, a piñata cake full of assorted candies, a taco stand and all sorts of yummy traditional and colorful treats. All photos by Ben Q Photography.